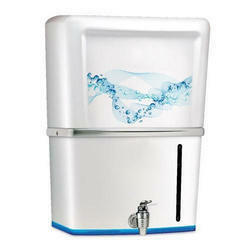 We are one of the leading manufacturers and suppliers of Domestic RO Water Purifier System. The offered domestic reverse osmosis water purifier system is specially designed for the filtration of underground and raw water. Our supplied domestic reverse osmosis water purifier system rejects the dissolved solids through a semi permeable membrane. 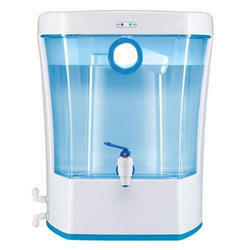 The offered domestic reverse osmosis water purifier system is highly durable. We are one of the well-known manufacturers and suppliers of Domestic Filter. The offered domestic filter is specially designed and fabricated for the purification of hard underground water. Our supplied domestic filter employs cartridges, membranes and filters for the water filtration process. The offered domestic filter is available at very economic and competitive market rates. We feel proud to introduce ourselves as the well-known manufacturer and supplier of RO Water Purifier. 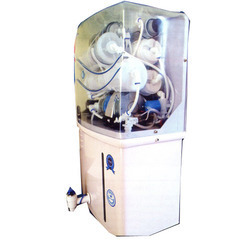 The offered water purifier is a special fabrication for the purification of hard and raw water. Our supplied water purifier is equipped with filters, membranes and cartridges for water filtration process. 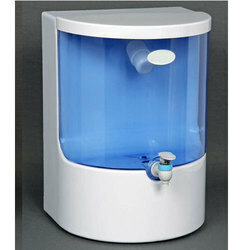 The offered water purifier is very efficient in the removal of dissolved unwanted solids. We are one of the widely acclaimed manufacturers and suppliers of Domestic RO Filter. The offered domestic reverse osmosis filter utilizes membranes and filters for the water filtration process. Our supplied domestic reverse osmosis filter is specially fabricated for the purification of hard underground water. The offered domestic reverse osmosis filter is available at very cost effective and affordable market rates. Looking for Domestic RO Purifier ?